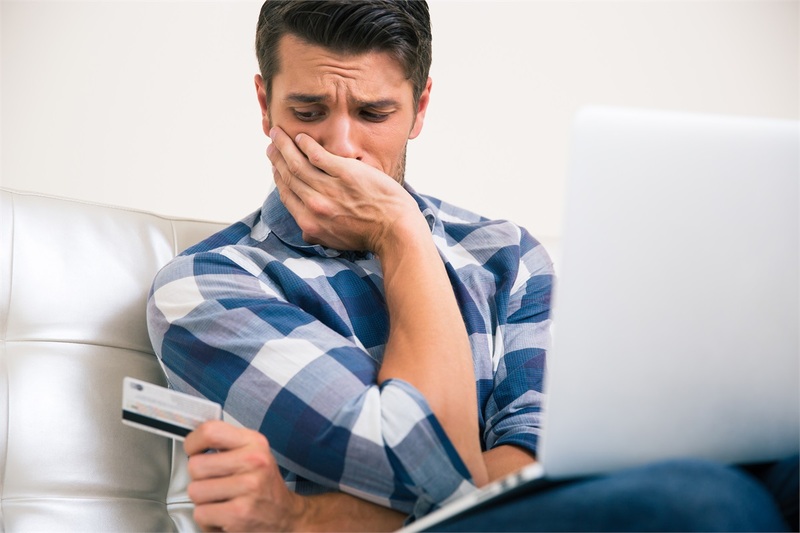 Did you know bad credit can hurt you even without any debt? Establishing and maintaining proper credit is vitally important to your financial future. Many people are unaware of how your credit is built or ruined. Many assume that not paying your bills on time would hurt their score, and they’d be correct, but many factors affect how creditors view you. I learned this lesson the hard way when I was eighteen and opened my first credit card. Back In 2000, you qualified for a credit card by simply showing proof that you were a college student. Bright eyed with a student ID in hand; I made my way down to Marine Midland Bank. It was my first credit card and, it came with a jaw-dropping $2000 credit limit, and like any limit, they require testing? Not so much. I bought a new computer, receiver and Polk speakers (still have the speakers) and before I knew It, my credit was used up, and I was now paying 20% interest on things I didn’t need and without any additional income, put myself behind right from the start. In the end, with my tail between my legs, I had to approach my great-grandmother for help, and she lent me the money to pay off the balance. I wish I could say that was the last time I did something foolishly with my credit, but we can discuss that another day. Credit card, student loan, auto loan, and mortgage companies are known as lenders. They lend you money to buy something with the agreement that you will pay interest and the initial balance back at some point in the future. The interest charged is generally quoted on an annual basis and assessed and compounded on a daily or monthly basis. When you make your monthly payment, there is a grace period when the amount can be made without additional fees. A typical grace period range is 15- 30 days. So long as you make your monthly payment, your interest and costs should be straightforward. The key is to be thoughtful with your credit. Don’t purchase items you can go without on credit. If you need a vehicle to survive, taking a loan to buy a car might make sense. Make sure you understand the terms of the loan and keep it within your budget to prevent fees or even worse, a default, which is when you fail to make payments for an extended period. On a vehicle, if you default, the lender might repossess your car which is an expensive and embarrassing ordeal. Often a vehicle loan is referred to as “good debt.” Good debt is something that makes reasonable expenses possible. A mortgage for an affordable home can also be good debt. Student loans are generally referred to as good debt, but using your student loan proceeds to buy tv’s and other non-essential goods while you are in college is taking something expensive enough and making it worse. Credit card debt and store credit cards that you don’t have the means to pay off monthly is bad debt. This type of lending often hurts your credit rating and can become paralyzing if you do not control it. Bad debt also has an opportunity cost associated with it. An opportunity cost of bad debt is paying money in interest to a company vs. saving it and earning interest for your use later. The key is to use credit cards responsibly to build proper credit. Thoughtful spending is done by paying off the full balance monthly and limiting their use to items you would have otherwise paid cash for. Make sure to also not exceed 50% of your available limit on any card if possible as this is viewed negatively by lenders. I use my credit card for groceries, gas, and utilities and that’s about it. By paying off my balances monthly, I am keeping my score high, stable, and because I’m not paying interest or fees, I’m doing it for free. Remember, budget and stay on as disciplined a budget as possible. If you would like additional information on budgeting, check out one of my previous blogs at 4 simple steps to a perfect budget. If you have any questions and want to discuss your credit, I’d love to hear from you, Buffalo because everyone deserves a Thoughtful Plan.